By Neslyn P. Viernes – The title of Hari was conferred upon Osias Banaag at a young age by Francisco Torres, one of the few surviving haris, because of his utmost dedication, hard work and self-discipline. As a Hari, which means King, he exemplified the true meaning of leadership but underneath was a genuine follower who worked hard to reach the ladder of success. The native sport of Sikaran was already in existence and eventually became a Martial Art during the Spanish regime. It was derived from the word “sikad” which means kick. Sikaran is an art of foot fighting developed by the farmers in the province of Baras and Morong, Rizal during the 1800’s. This form of Martial Arts utilizes the legs for fighting while the hands are used for parrying, blocking, throwing and grabbing. The champions of Sikaran are referred to as haris (kings). “The title of hari is not just a title. You have to work hard for it through sacrifice, non-stop training and discipline,” ‘Banaag stated about being King. Armed with nothing but his heart and vision for Sikaran, the man proved to be a risk-taker as he tried to bring the sport to the United States. Banaag admitted that he received minimal support and saw a lack of awareness for Sikaran as a Filipino Martial Art. However, he did not falter. He had to fight homesickness and sleepless nights alone in his gym all for one goal. He wants to promote Sikaran to the best of his ability and for its recognition in the Olympics. 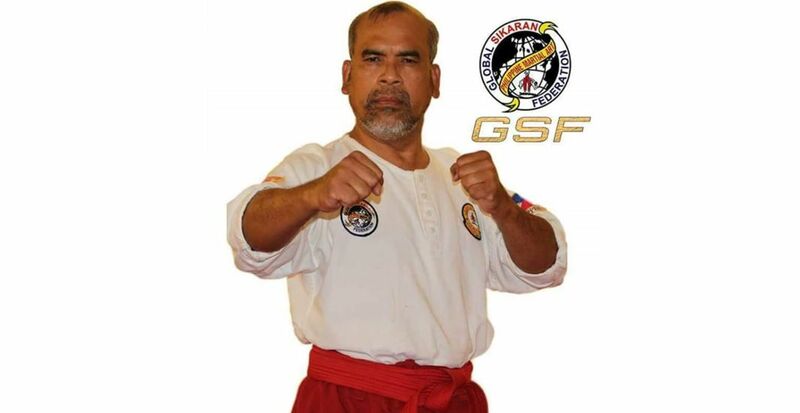 Osias Banaag went on to be a Philippine representative of Sikaran at the World Martial Arts Convention in Washington, DC in 1997. He is one of the 404 delegates out of 106 participating countries who were invited. 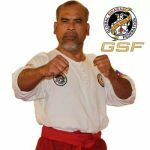 To further promote and raise awareness to the sport, he began to establish the Global Sikaran Federation and Sikaran Arnis Academy which holds its International Headquarters in Delano, CA. Osias Banaag recalled starting with only 5 students, 3 of which were enrolled for free. He continued teaching and made himself and his organization an active member of the community. As the Sikaran motto states: “Veering our young individuals from being lured to drugs and alcohol.” The City of Delano recognized the efforts of the Global Sikaran Federation and its contribution to the upliftment of the community. Today, over 800 students are enrolled in Banaag’s Academy proof of his hard work and dedication to promote the sport even in a foreign land. Osias Banaag opened his doors to anyone who was willing to learn and adapt not only the techniques but more importantly the values of Sikaran. He trained long hours with his students and instilled in them the very purpose of the sport. Thus, the Sikaran Arnis Academy was cited as the best “Martial Arts School” from 2003-2005 by the USA Martial Arts Hall of Fame. 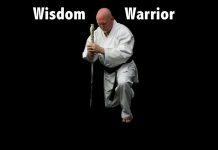 The 10th degree red-belt found himself not only swarmed with students flocking to his gym, but soon he was rubbing elbows with Hollywood celebrities and fellow Grand Masters from all over the world. 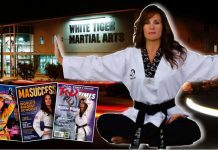 Among these prominent figures were Kickboxing Champion of the World Bill “Super Foot” Wallace, actor and Kata King, Eric Lee, Kickboxer and actor, Don “The Dragon” Wilson, Bloodsports Frank Dux, martial artist and actress, Cynthia Rothrock, and tournament promoter Master Stan Witz. 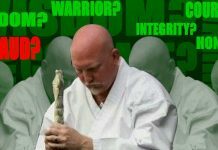 His recent recognition marked his 4th appearance at the USA Martial Arts Hall Fame. Banaag’s contributions did not go unnoticed by United States President George W. Bush when Osias Banaag was given the Presidential Lifestyle Award in 2004. With boxing and other forms of Martial Arts capturing the interests of Filipinos, Osias Banaag is more than ever determined to promote Sikaran and secure its place as a true Filipino Martial Art. “As of now, the Philippine government is sleeping. I am trying to wake them up,” Banaag said, hoping that Filipino public officials would finally give proper attention and provide an essential amount of support for Sikaran. Osias Banaag wants to seize every opportunity to further propagate Sikaran and keep interested youth going in the right direction. After all, the man from Baras knows the formula for success. His dreams started on a piece of paper as he wrote down his every move and then became the architect of his own plans. He has brought the Philippine Martial Art of Sikaran to a new level of recognition as he garnered several other achievements. The man is not done yet, Osias Banaag wants Sikaran to reach the Olympics. Is it just a dream? No, Osias Banaag will turn it into a reality. Osias Banaag holds the title of Hari or King in the martial art of Sikaran. He brought the sport of Sikaran to the United States. He was the Philippine representative of Sikaran at the World Martial Arts Convention in Washington, DC in 1997. He began the Global Sikaran Federation and Sikaran Arnis Academy.